This fresh peach recipe is just dreamy on a hot day. It makes a light and tasty ending to a beautiful meal, like my Pan Fried Grouper recipe. In a blender, puree the peaches. Peeling them is optional. Blend in the remaining ingredients and process until really smooth. Chill the mixture until cold, or 1-2 hours. 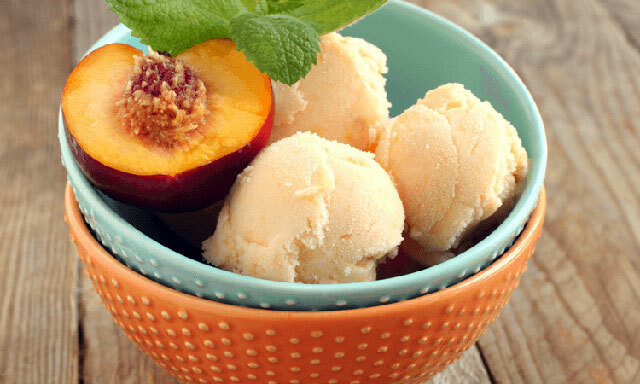 NOTE: Since fresh peach ice cream is very soft, it may be necessary to let it "ripen" in your ice cream maker for an additional 45 minutes (or place in a bowl in freezer, if you prefer a firmer ice cream).